There are not many things for which we would claim that we are an expert, but that's only because we do not do those other things yet, for things that we do, there is no one else who does it better than us. CDC - Cinemas is the only movie theater party venue in the country that’s suitable for any and all party occasions. Let it birthday, bachelors, graduation celebration, or simply an ordinary friday night, Cine de Chef has something for you. From the private selection of movie, personalized menu and wide range of drinks and cocktails in our 'Light Lounge', our wide range of selection will undoubtedly have something for you that makes your special celebration an unforgettable one. 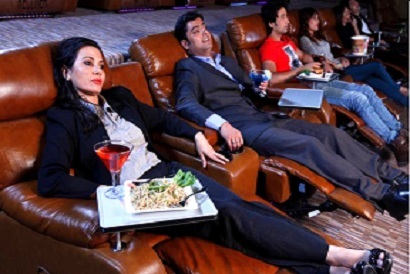 Get spoilt and watch movies in style. If you have any special request for a movie, we will do our best to screen it for you. We proudly claim ourselves as best movie theater in the country from the sound system, screen to the seating. We are the most technically advanced theater facility and deliver on that quality everyshow show, every day. We have made sure that smallest of details is perfected for you and your group. For the group of 40 or above, we offer “your selection” menu that allows you to tell us what you want to eat. To add to your experience all the items would be brought to you personally to your seats by our Stealth Servers (SS). 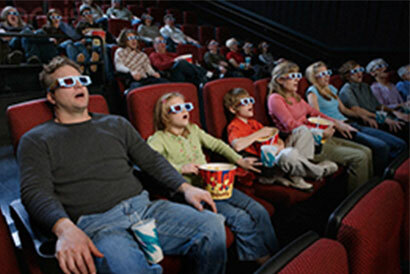 At CDC- Cinemas we have a passion for movie and understand what makes the watching a movie a completed experience. We further specialize in providing that experience for our customers, who share the same passion for perfection. Whether you are hosting a company party, entertaining clients, celebrating a birthday or anniversary, we have something for everyone. CDC - Cinemas will customize your event for how you want it to unfold. So call us at 4262357 or write us at info@cdcnepal.com today to make your reservations and to find out more about the group deals.